School holidays are winding down, back-to-school shopping is in full-throttle and parents are counting down the days to freedom. Make the last two weeks worth it with these activities guaranteed to keep the kids entertained. The Mon Repos Turtle Encounter is a must do activity these school holidays. Why not grab the kids and witness the miracle of life with baby turtles now beginning to hatch and Mumma turtles coming ashore to nest? Head out to the Southern Great Barrier Reef and enjoy a day under the surface. Swim with the turtles and manta rays, and find the Great Eight. Explore the coral cays and sunshine-warmed waters surrounding Lady Musgrave Island and Lady Elliot Island. Try every flavour of gelato at Alowishus Delicious. Enjoy the aircon or face the heat and race against the sun to eat your gelato before it melts. It's the perfect weather for it, so why not hit the beach? Surf it up at Neilson's Park Beach, relax at Kelly's Beach or swim with the fish at The Basin. Enjoy the cool aircon and atmosphere at Bundy Bowl and Leisure, and challenge your friends to a game of ten pin or battle it out call-of-duty-style laser tag match. There are so many national parks dotting the region with incredible, scenic bushwalks for all levels of experience and fitness. Grab your walking shoes and get up your 10,000 steps at the national parks. Become an expert in everything fizzy at Bundaberg Brewed Drinks 'The Barrell'. Learn how they make your favourite drink and our famous ginger beer in their interactive information centre. Visit aviation extraordinaire, Bert Hinkler, (well his cut-out) at the Hinkler Hall of Aviation. Discover the secrets of his life and check out the interactive activities in the centre. The holidays are a great time to relax and watch a movie. The Moncrieff Entertainment Centre offers all the latest releases, seriously good popcorn, and the all important aircon. Gather your friends and settle in for some big screen action. 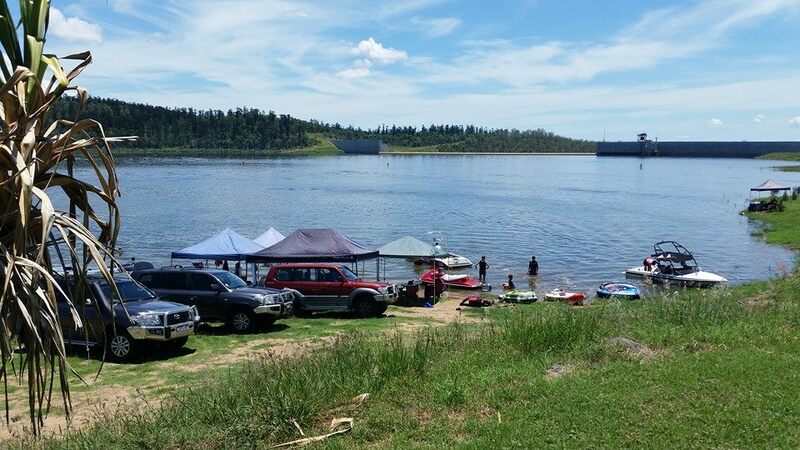 Whether its fishing, skiing, swimming, kayaking or tubing, you can do it all at Paradise Dam Recreational Park. Lather on the sunscreen, wring out your favourite togs and put the boat in for a family fun day in the sun.